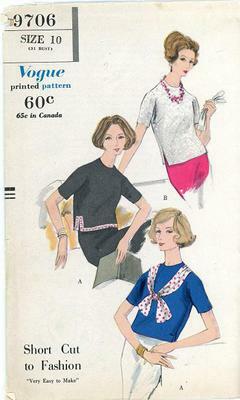 1959 Vogue Pattern #9706, misses' overblouse in two lengths. Version B may be worn tucked in. Neck zipper closing below high round neck-line. Knotted scarf joined in shoulder seams. Short kimono sleeves.